The NWRHA is currently partnering with the National AIDS Coordinating Committee and the Office of the Prime Minister to produce a series of videos aimed at educating the public of the accessibility and ease in receiving free HIV/AIDS testing at our designated health institutions. Currently, free rapid HIV/AIDS testing is available at 16 institutions/health centres under the purview of the NWRHA. 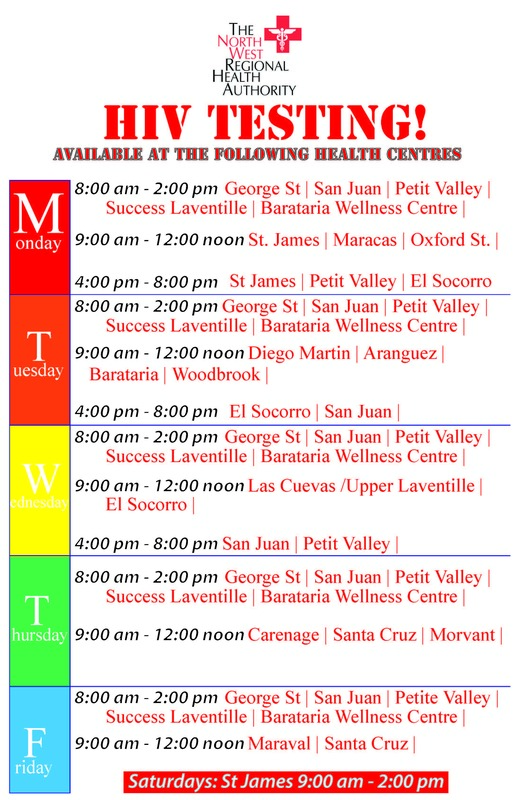 View our schedule at http://www.nwrha.co.tt/free-hiv-testing-2/ for further information. Check out the 1st video in the series below……It’s Beautiful to Know – Episode 1.